Arrecife, the capital of Lanzarote since 1852, is a vibrant town with a busy port on the east coast of the island. Arrecife holidays have wide appeal with families, couples and groups of young singles enjoying the beach, the restaurants, the nightlife and the shopping. 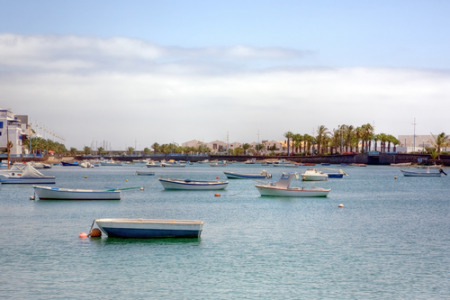 With warm winters and pleasantly hot summers, holidays to Arrecife can be taken at any time of year. The dark golden beach is lined by an attractive landscaped promenade with bars and small restaurants serving daylong refreshments. Holidays in Arrecife offer a range of accommodation from hotels and villas to self-catering apartments. A vast choice of cuisine is served in its numerous restaurants and its bars and discos party until the early hours of the morning. If you are looking for a change of scene, you may be tempted by our cheap Arrecife holidays which offer great value for money. For further information and to find our last minute Arrecife holiday deals, please use the search facility.